▶ SoldThis listing was sold on Oct 16, 2017 for the price shown here. Open House Sunday 8/20/17 1:00 pm till 3:00 pm!! 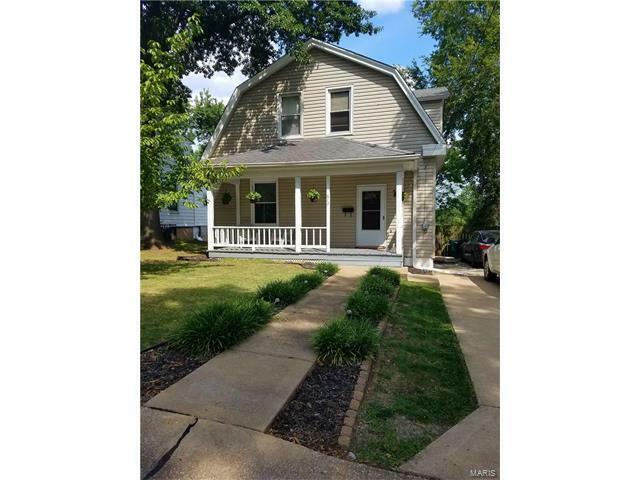 Beautifully updated and maintained home in Webster Groves School Dist. Greeted by the inviting covered porch - welcome to your new home in charming WG! Newer appliances, floors, fresh neutral paint throughout, level lot with privacy fence. Back yard storage shed added in 2016! 3 bedrooms 1.5 baths. Engineered wood floors on main level, ceramic tile in kitchen and laminate upstairs - a CLEAN home! Air filtration system, humidifier, newer sump pump and much more. A complete rehab in 2006 with current owner continually adding finishing final touches over the past 10 years; no details left out; increasing storage options with cabinetry and keeping with modern decor - this home is move in ready and wont last long!